Activity. 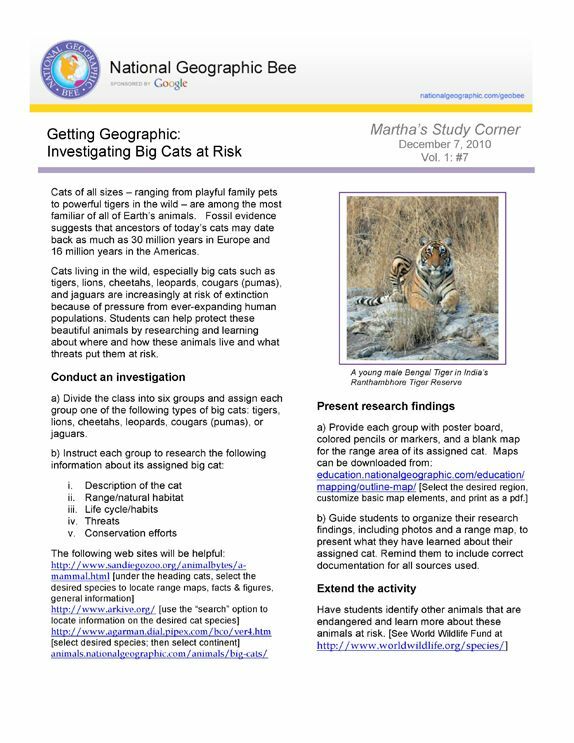 Students research one of the big cats: tigers, lions, cheetahs, leopards, cougars (pumas), or jaguars. They organize and present research findings on the cats' range and natural habitat, life cycle and habits, threats, and conservation efforts.